It wouldn't be a trip to Missoula, or Montana, without a fishing adventure. We've all see the movie, A River Runs Through It, right? Fishing is absolutely central to this community. Lakes near Missoula are great destination areas for water activities, camping and wildlife viewing. Rafting in Missoula is a thrilling experience. If you like the idea of rafting but you could do without the rapids, not to worry. There are plenty of easy-living, floatable stretches on all three of our local rivers. Tubing/floating the river in Missoula is a fun, relaxing way to get out and catch some sun while you cool off in the water. 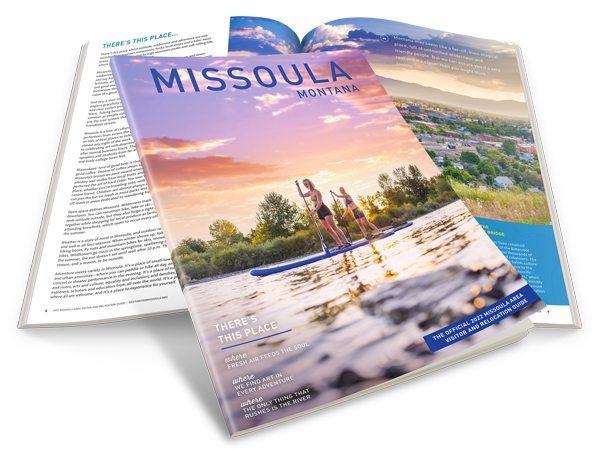 Missoula has plenty of places to go swimming; rivers, lakes, a splash park and an indoor aquatic center - just to name a few.